Welcome all, I founded PJL Web Design right after I completed my computer science degree in 2010. However, I have been creating websites for almost 10 years and have gained the expertise and knowledge over the years to run a successful web design business. When you decide to go ahead with a website from PJL Web Design, you can be confident that your website will not only be eye catching, but will be cross browser compatible, easy to navigate, and will conform to all the latest coding standards. Lani is our project coordinator, she looks after scheduling and all office administration. 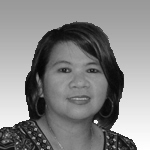 Lani has been part of our team since mid 2010 and does a great job making sure our projects are on schedule. Sometimes our work load gets very hectic, but Lani is able to keep us on track by her expert knowledge of our state of the art scheduling software. You can rest assured that when you contact our office, you will be immediately informed on the progress of your website. 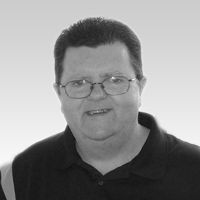 Nick has had over 10 years experience in web hosting. 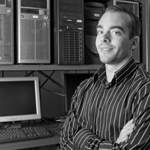 He is an expert in Linux and Windows based sever operating systems. We use the latest virtual server technology here at PJL Web Design which means that your website will be running virtually 100% of the time. If a drive fails, your website users won't even know there's been a problem. Nick has set up our servers with the latest mirrored drives which can be swapped over without even shuting down the server. So rest assured your files are in safe hands with Nick at the controls.